In a bid to make it more attractive to foreign investors, Japan is rolling out a new corporate governance code, but will it succeed where previous incarnations have failed? Japan does not have the best track record when it comes to exercising good corporate governance. In fact, it has long been viewed by investors as a “global pariah” for its poor treatment of corporate shareholders, according to George T Hogan, a former sell-side equity analyst in Tokyo and contributor for Investopedia. 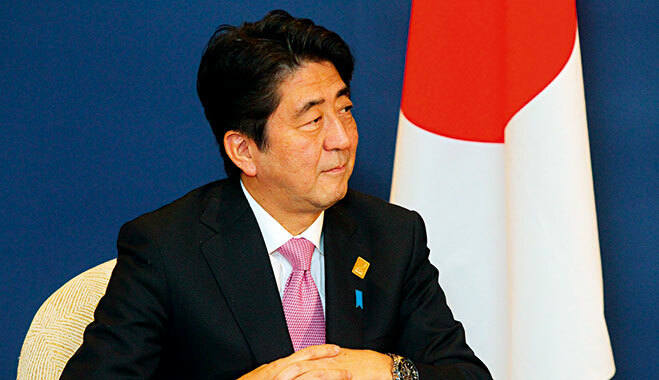 But the Japanese Prime Minister Shinzō Abe and his cabinet are looking to improve their country’s less than desirable image and undo some of the negative sentiment expressed by overseas investors, chiefly by introducing a new corporate governance code. The government is hoping the new system of rules will improve investor confidence, as well as help to make its equities market more attractive to foreign capital. The only problem is that for the new code to be successful it must go up against a cultural cornerstone of the Japanese economic system; one that has dominated the country since the middle of the 19th century, known as keiretsu. While this structure of corporate governance can be traced as far back as the 1600s, it has gradually changed over many decades in order to suit the needs of Japan’s ever-evolving economy. Nowadays, the modern iteration of keiretsu sees corporations or corporate groups all centred on a bank, with each company possessing very close cross-shareholdings. What this means is that while the individual holdings of a company in one of the keiretsu group companies might be quite small, the aggregate of the entire group’s cross-shareholdings can be quite significant. This creates a number of issues that are positive for some stakeholders and problematic for others. “If you’re an employee and what you are looking for is a stable environment where you are unlikely to be laid off, especially in tough economic times or when the company you work for is hurting financially, then it can be viewed as a relatively good thing”, says Hogan. “But if you are a shareholder, and particularly if you are a minority shareholder, an investor, not one of these cross-shareholding shareholders, then you can really have your rights trampled on. And while former sell-side analysts admits that US businesses have flaws of their own, they tend to pay a lot more lip service to shareholders than their Japanese counterparts. Not only that, but should investors in the US feel dissatisfied, then they have a number of options at their disposal. These include the right to appoint board members and officers or participate in a hostile takeover in order to ensure the company is acting in their best interests and maximising profits. That is not to say that such options are not available to shareholders in Japanese companies, but its long-lasting corporate governance rules can make it difficult to express dissatisfaction with management in a meaningful way because minority shareholders tend to take a back seat. “Minority shareholders or shareholders outside of the [keiretsu] group can be viewed as more of a nuisance, rather than a constructive contribution to how the company can be more effectively managed or made more profitable”, says Hogan. The keiretsu structure and how it insulates companies from outside forces is apparent in numerous case studies, but the one that Hogan outlines in his article for Investopedia best highlights this unique characteristic in action. Back in 2005, Rakuten – Japan’s answer to Amazon – tried to takeover one of Japan’s largest TV broadcasters, Tokyo Broadcasting System Inc. (TBS). At the time the network appeared unwilling to consider a bid under any condition or at any price. Its management was even prepared to dilute the online retailers’ 20 percent stake in the company to almost nothing in a last ditch attempt to stop the takeover from happening. From the get go, Hiroshi Inoue, then president of TBS, expressed distaste at even entertaining the idea that the online retailer would become its affiliate. “It’s like you have a house of your own and, suddenly out of nowhere, someone comes up and tells you he wants to marry your daughter because he has purchased 20 percent of your land”, Inoue told journalists at a news conference. The interesting point about TBS is it is one of six major nationwide television networks, which all have a lot of cross-shareholdings. And so, when Rakuten attempted to enter this market it was easy for TBS to rally all of their shareholders (which include these private broadcasters), and even though Rakuten was willing to pay a massive premium, the group companies stepped in and voted it down. Examples like this do not exist in isolation and, from a shareholder perspective, especially one from say the US, where they have become accustomed to a different corporate governance structure, it has the potential to dissuade otherwise interested investors. It appears that, at the very least, poor corporate governance forces overseas investors, who may be a little less experienced in how the Japanese market works, to exercise an extra degree of caution. At least this “global pariah” clearly acknowledges the damage that is being done by its poor treatment of corporate shareholders, with its decision to introduce a new set of rules being a promising sign. Though this is not the first time that investors have heard of a plan to overhaul corporate governance only to be left wanting. There is a level of pessimism for this new proposal. It derives from the fact that the plan is completely voluntary. The new rules may attempt to address rights of shareholders, cross-shareholdings, anti-takeover measures, whistleblowing, and board diversity, but without the ability to prosecute companies that do not adhere to the new code, it is unlikely they will comply. But there is reason for investors to crack the faintest of smiles, as unlike previous attempts, this time round the government, the Tokyo Stock Exchange (TSE), and Nikkei (the leading financial media company), are all behind the proposal. Instead of making the new rules a legal requirement these three key players are trying to gain some momentum behind the reforms. Nikkei in particular has been a big cheerleader for the new corporate governance code. By moving the market by influence, rather than trying to make every company move all at the same time in order to meet a new set of rules and regulations, this is approach aims to gently ease corporate Japan away from the entrenched ideals of the old keiretsu structure of corporate governance. The aim of the new rules is to make the Japanese market more palatable to foreign capital, something that the country is in desperate need of considering the tough economic times that it is enduring. However, it is always easier to introduce rule changes when profitability is better; when it is easier to raise dividends, when pay out ratios are higher, and discussion about return on equity targets are more optimistic. Perhaps this momentum driven approach can find success. Either way, with such a poor corporate governance track record, investors will certainly welcome any progress in how shareholders are treated, no matter how small.